Finally, I get to do a big portrait of the Ninth Wonder of the World Chyna for WWE Canvas 2 Canvas, in honor of her entering the WWE Hall of Fame with D-Generation X. Because it’s such a big and important painting, I chose to paint it live at C2E2. It was super cool having so many people walking by stop and say something along the lines of “WHOA, that’s Chyna!” There were a couple dudes that even got choked up seeing what I was doing. She still means that much to so many people. I think Chyna’s legacy is that she was a sea change in women’s wrestling. Right? There was everything before her, and there was everything after. She had that amazon build, but was undeniably feminine. She had an x-factor and charisma that would make her stand out as much today if she debuted now as when she was a top star in the late 90’s. 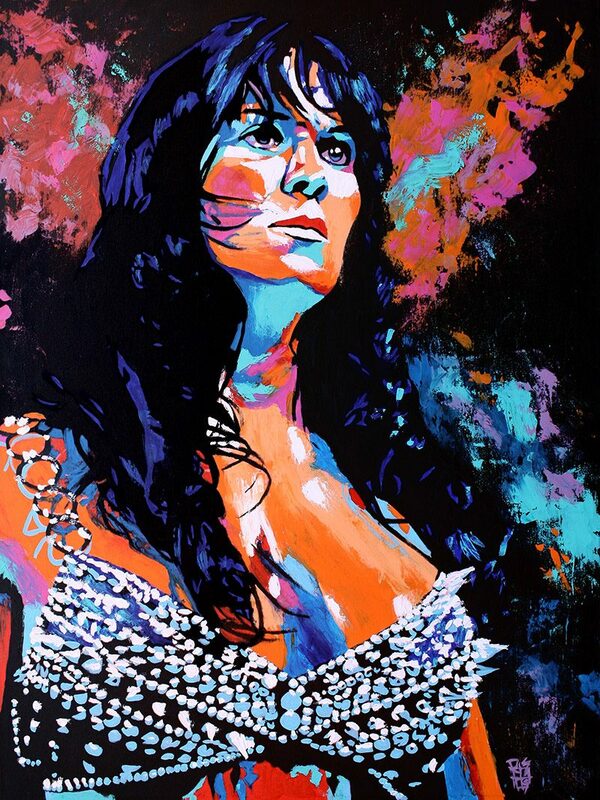 That’s what I tried to get across with this portrait, to tell the story of someone who was a top star in this thing called pro wrestling that we all love, who was iconic for both her intimidating beauty and how she carried herself.